Just when you thought it was all over, Sportsnet’s Elliotte Friedman pulls you back in with a new in-depth piece on “The 23 minutes that shook the hockey world,” including the P.K. Subban trade. Even for those Montreal Canadiens fans who have had enough of the endless analysis, it’s probably worth a glance for the few tidbits you probably weren’t privy to before. He may have gone against the old-school establishment with his recommendation to Habs management not to go through with the trade for Shea Weber, but Matt Pfeffer’s biggest mistake was maybe talking to the media after the ex-analytics consultant’s contract was not renewed by the team. Was just informed by a source that the Montreal Canadiens let go of analytics specialist Matt Pfeffer. Of course, Weber isn’t an average NHLer, and even Pfeffer knows that, acknowledging as much in a later Tweet. He was most likely referencing a specific stat (5-on-5 goal differential, a category in which Weber is average, statistically speaking), but that didn’t keep everyone from losing their collective human excrement over the quote. So, where does Pfeffer now stand? On the outside of the NHL looking in, but working as a statistical analyst for Hockey Canada, which of course selected Weber over Subban as well… only a month before the Canadiens-Nashville Predators trade. The dude can’t seem to catch a single break… aside from the fact he’s still in his early twenties and, well, should be okay. What were you doing in your early twenties? The good news is, if you were still banging your head on the wall wondering why the Habs didn’t trade Subban for Taylor Hall, it really never got that close, according to Friedman. … Multiple sources said conversations between the Canadiens and Oilers did not last very long at all. The Oilers did not like the ask, and they know [Connor] McDavid could become the highest-paid player in the NHL. They were not interested in pairing whatever that number will be with Subban’s $9M. That’s almost logical, emphasis on “almost” though, seeing as Edmonton then replaced the four years remaining on Hall’s contract at $6 million per for seven years of Milan Lucic at the same cap hit. Hall will be 28 at the end of his contract. Lucic, with his no-movement clause, will be 35 at the end of his. 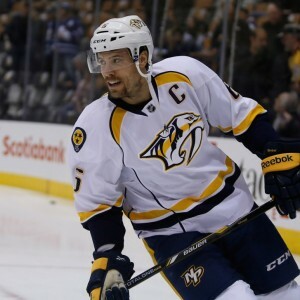 The question then becomes will the Oilers prefer to have an aging Lucic along with Adam Larsson (at a hit of $4.17 million) however many years down the road or Subban? It, of course, depends on what the actual “ask” was, but if all the Habs got in return for Subban was Weber in a one-for-one, could it have been that much more? It wasn’t so much that Habs goalie Carey Price came out in support of the Subban trade. It was more his comments, which came across as devoid of emotion, or rather devoid of any reference to a relationship with Subban… as if they had never, not once triple low-fived after a victory. The way our game is structured and the way P.K. plays… we’re headed in a different direction… I respect the way he plays the game… his type of enthusiasm and his ability to raise fans out of their seats. That’s a special gift… But the way we’re coached on our team, the way our team is structured, that’s not what we’re looking for. It was a rational, well-reasoned response to a question, but it came across in print like something you would tell yourself to justify a break-up just after you got off the phone. Not that there really was no other way for him to go on this one. 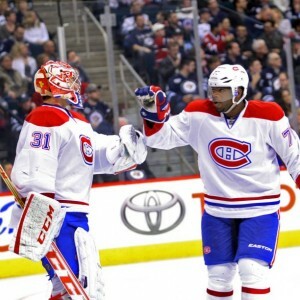 He had to back his team, especially seeing as not toeing the party line is in part what got Subban traded. Of course, it would be interesting to see what Price could ever do to get the Habs to pull the trigger on a deal that sends him out of town, seeing as he is their system. He then went on to say Weber is a better fit, and it’s hard to argue with that assessment. He’s more effective in the defensive zone, and, on a team that focuses on its strength in goaltending, sound positioning and the ability to protect Price are paramount. But in today’s NHL? Is it more paramount relative to the possession game Subban brought to the table? That’s something we’ll find out between now and this time next year.